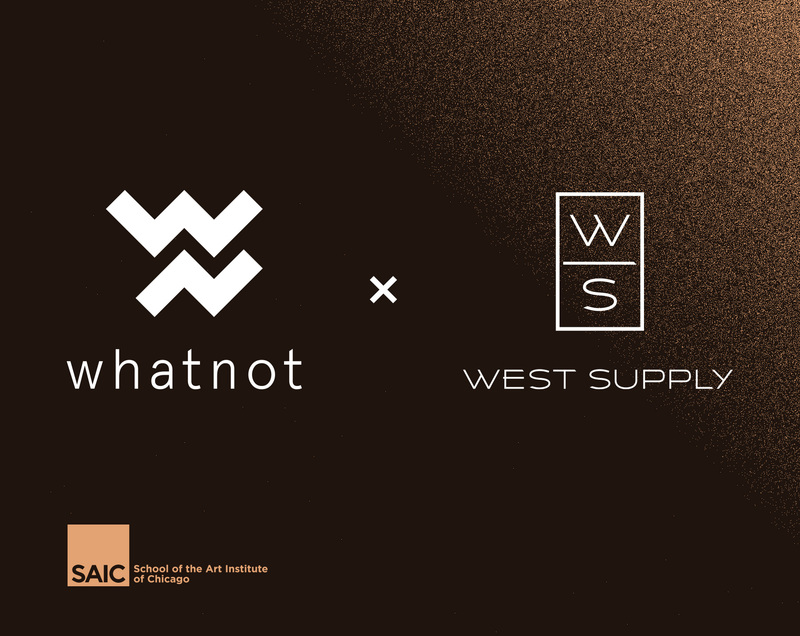 CHICAGO—The School of the Art Institute of Chicago (SAIC), a global leader in art and design education, announced the launch of whatnot x West Supply, a collection of uniquely designed objects created by students studying in the Architecture, Interior Architecture, and Designed Objects (AIADO) department. The collection will be revealed at Spazio Rossana Orlandi during Milan Design Week in Italy, April 4–9. A wall-mounted cast-glass luminaire that captures the movement of fabric caught by the wind. The SAIC whatnot x West Supply Collection consists of 15 products, each of which has been hand-cast and hand-finished by West Supply’s team of skilled technicians, drawing upon many years of experience producing high-quality metal and glass objects for artists, architects and designers. SAIC is one of only a few American colleges whose students have the opportunity to participate in the annual Milan Design Week. The products created are entirely conceived, designed and produced by undergraduate and graduate students enrolled in SAIC’s yearlong Milan External Partnerships class, taught and curated by Professors Helen Maria Nugent and Tim Parsons. Milan Design Week runs April 4–9, and SAIC’s whatnot x West Supply Collection will be featured and sold at the Spazio Rossana Orlandi, Salone del Mobile, Via Matteo Bandello 14, 20123 Milano. The products will also be on display in Chicago at SAIC’s LeRoy Neiman Center, 37 South Wabash Avenue this spring. To access high-resolution images and bios of the student designers, or to learn more about whatnot x West Supply, visit saic.edu/whatnot. The whatnot studio brings design experiments to life as real products. Positioned as a commercial brand, whatnot is also a progressive educational platform focused on creative inquiry matched to iteration, systems of production and the nuances of the marketplace. The yearlong class gives students the space and time to find their voice as independent designers and the resources to produce fully realized, original products that are launched to the public during Milan Design Week. This is the 10th consecutive year in which emerging designers from SAIC will debut new work in Milan. SAIC’s whatnot x West Supply Collection is created through the Milan External Partnerships Studio as part of the School of the Art Institute of Chicago’s Architecture, Interior Architecture, and Designed Objects department. The Milan External Partnerships Studio course, directed by professors Helen Maria Nugent and Tim Parsons, takes students through the entire product development process from conceptualization to production. SAIC partnered with Chicago-based bespoke foundry and fabricator West Supply to help students take their products from concept to creation.